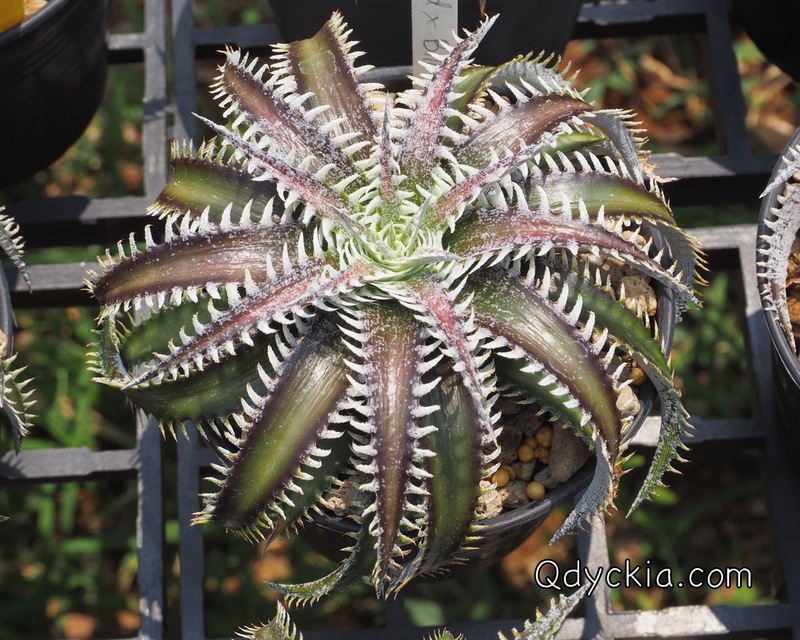 Good morning Sunday, today we are going to see some nice plants in Qdyckia Garden so have fun. 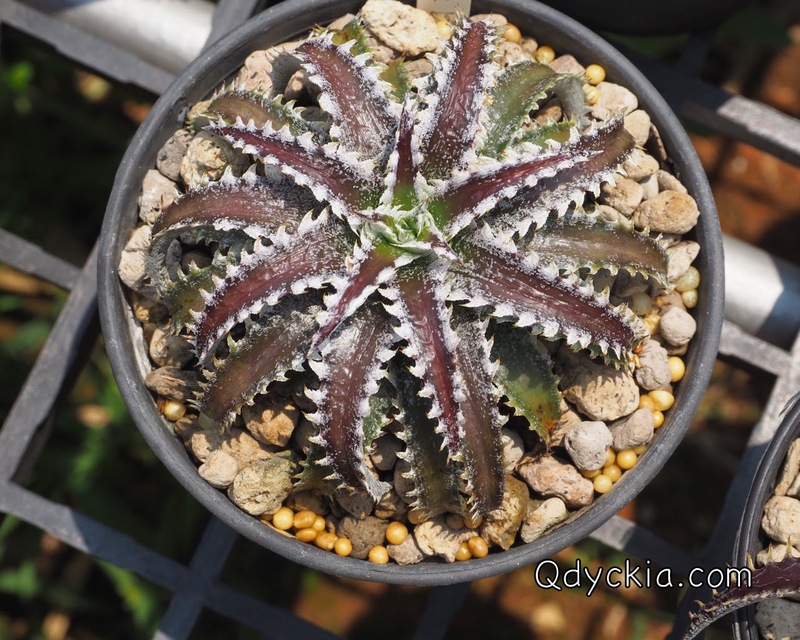 All are new hybrid, some of them will be sold on eBay and monthly sale soon. 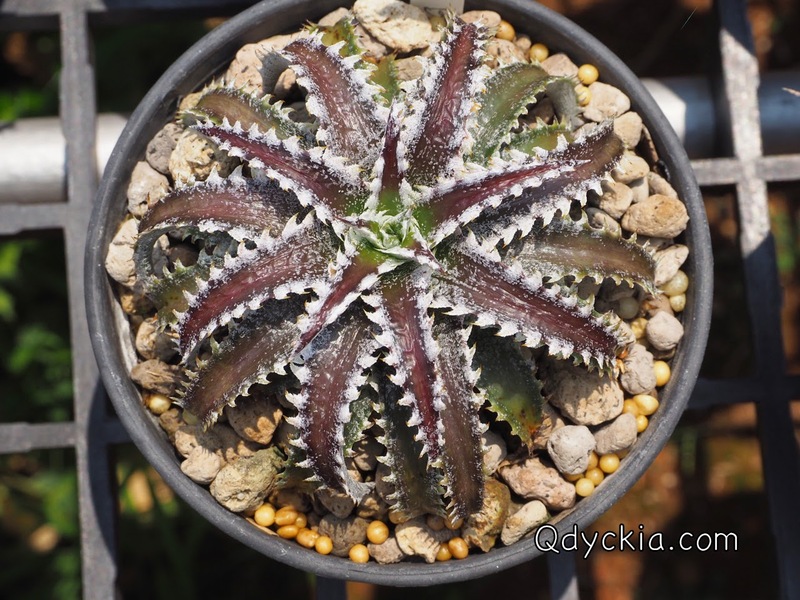 Please wait and enjoy. 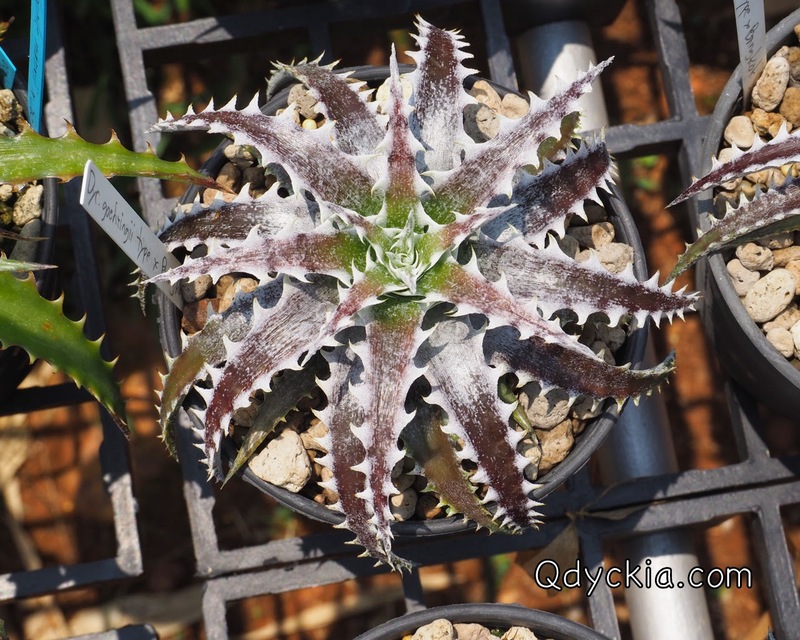 Dyckia HU-5 X Bill Baker, one of the beautiful hybrid in our garden. 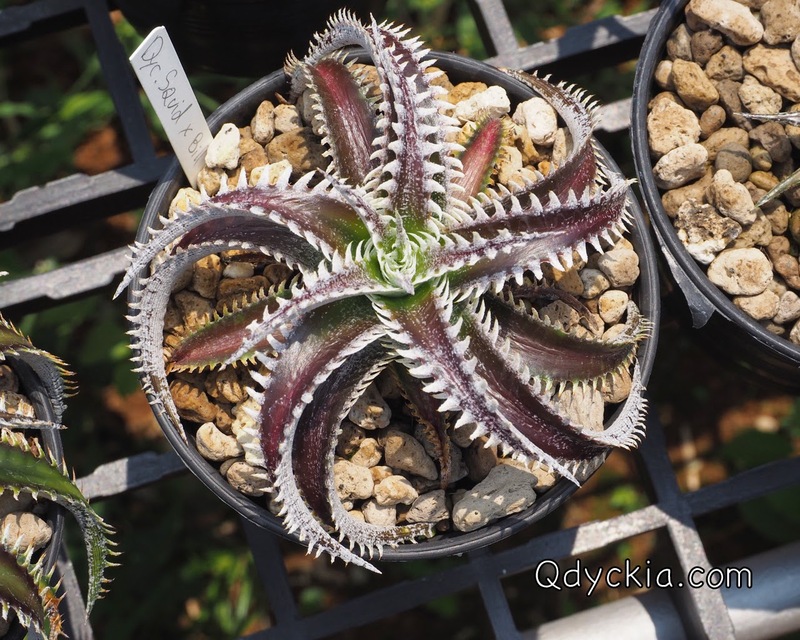 Plants have 3 colors red, green and white. 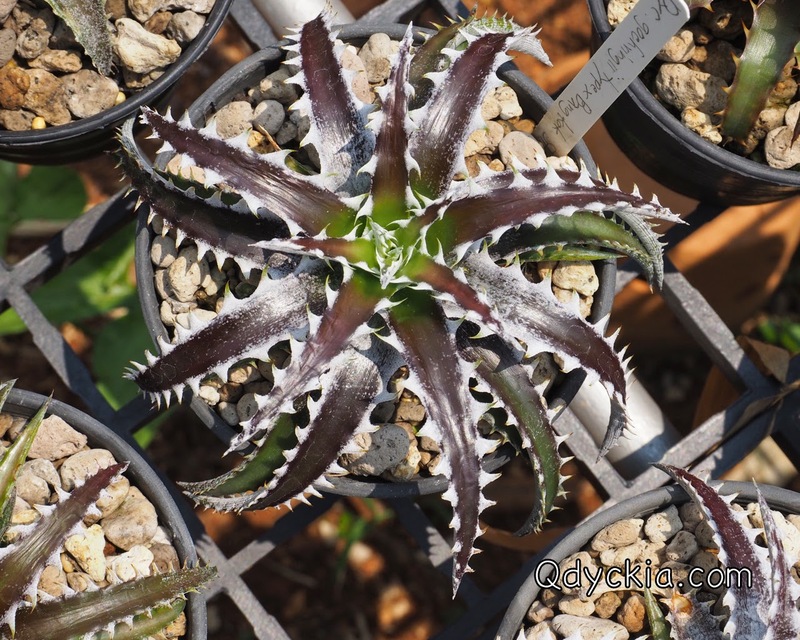 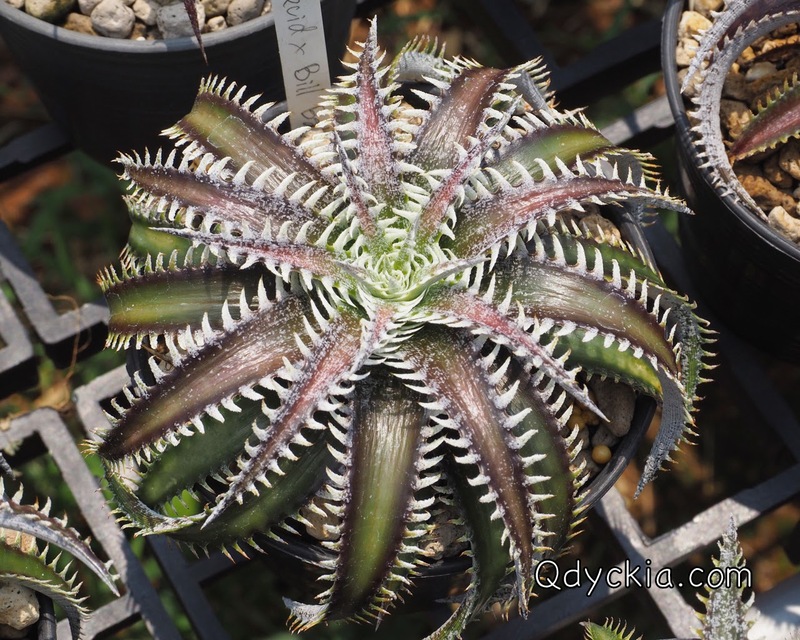 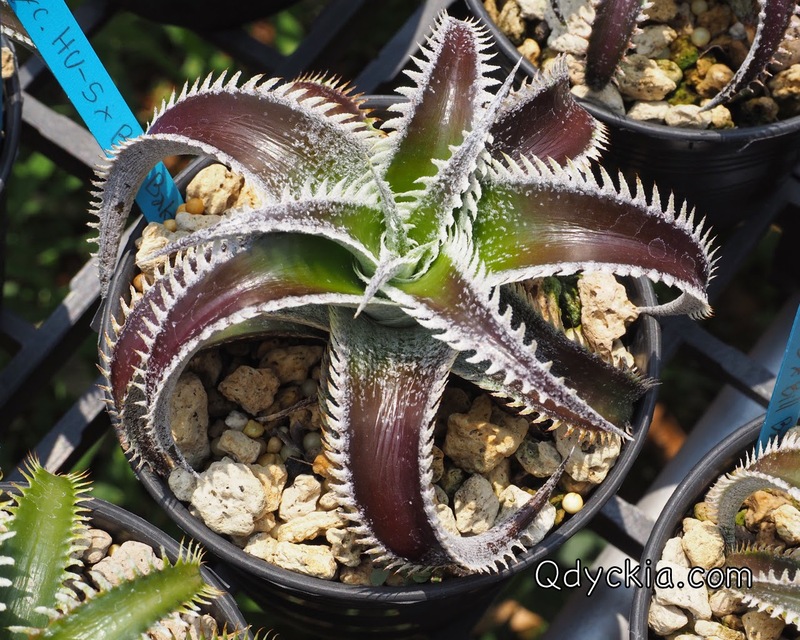 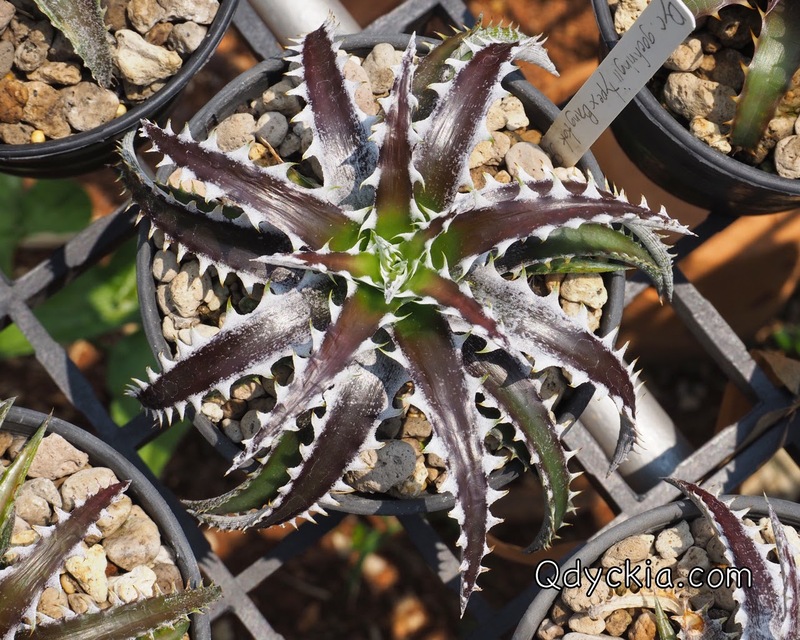 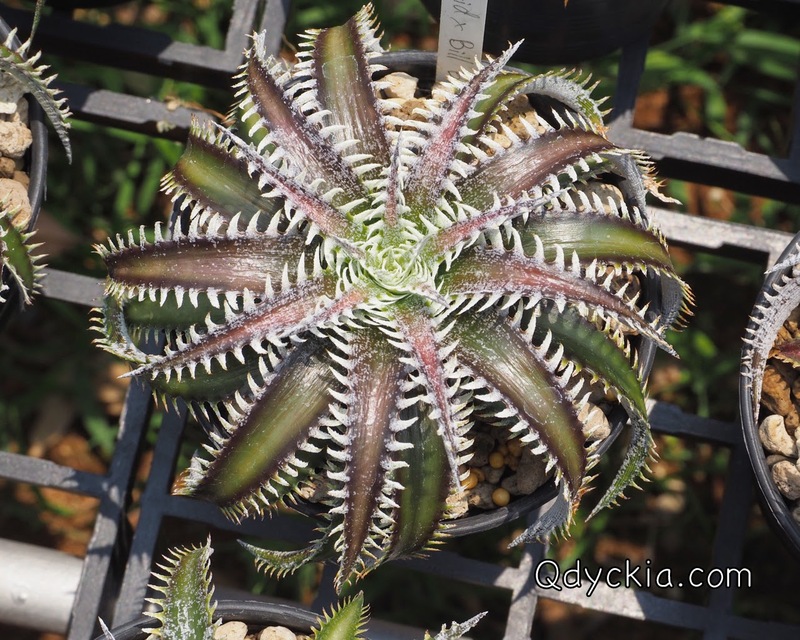 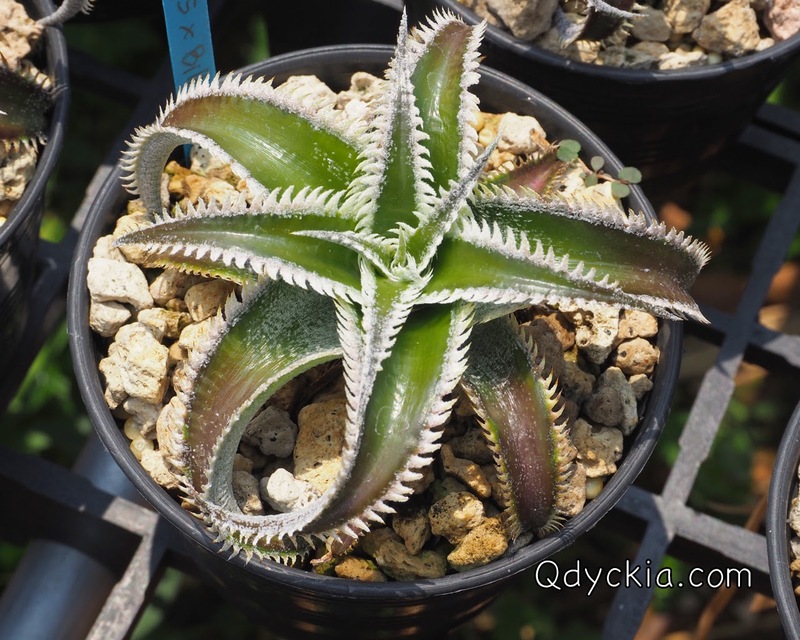 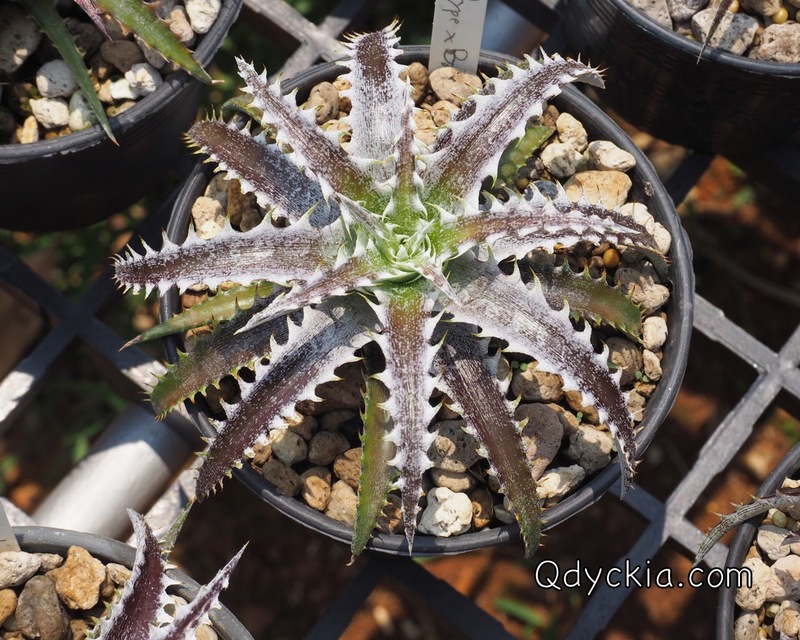 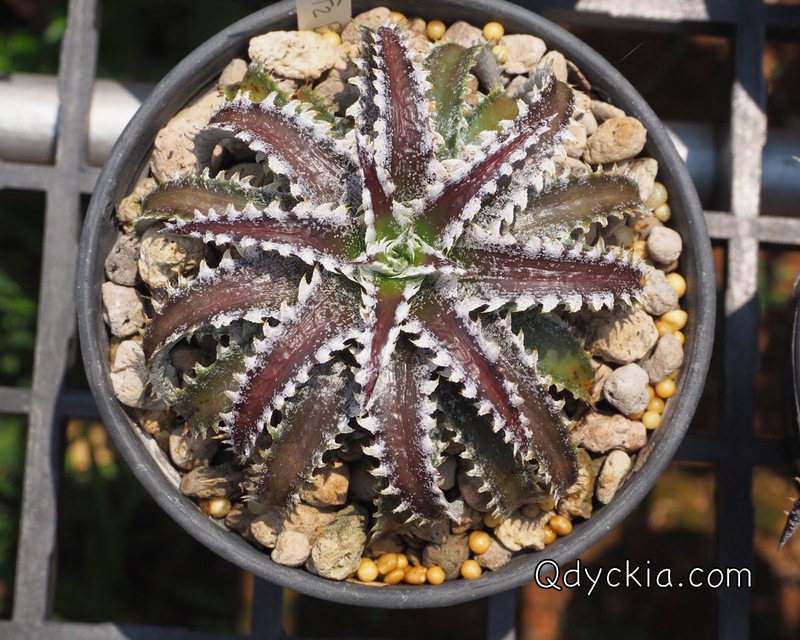 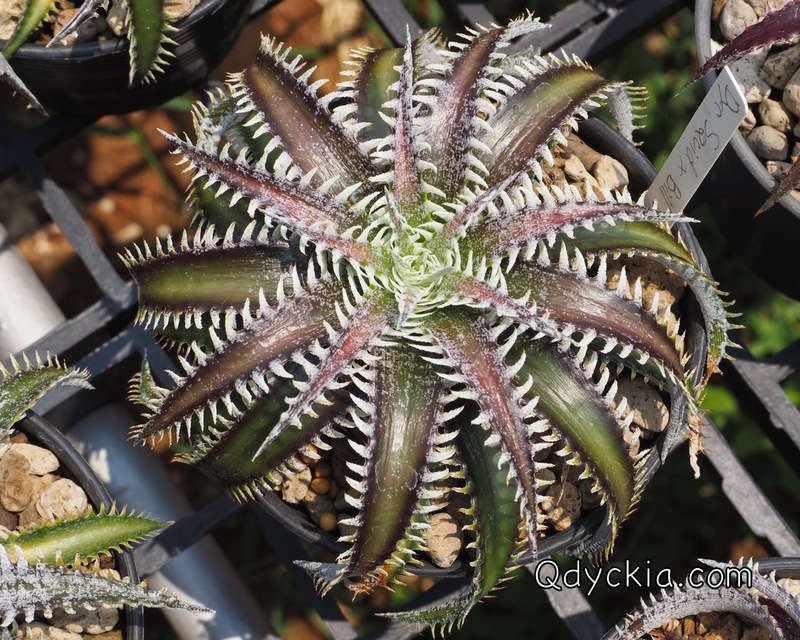 Dyckia Squid X Bill Baker, very nice teeth on this plants. 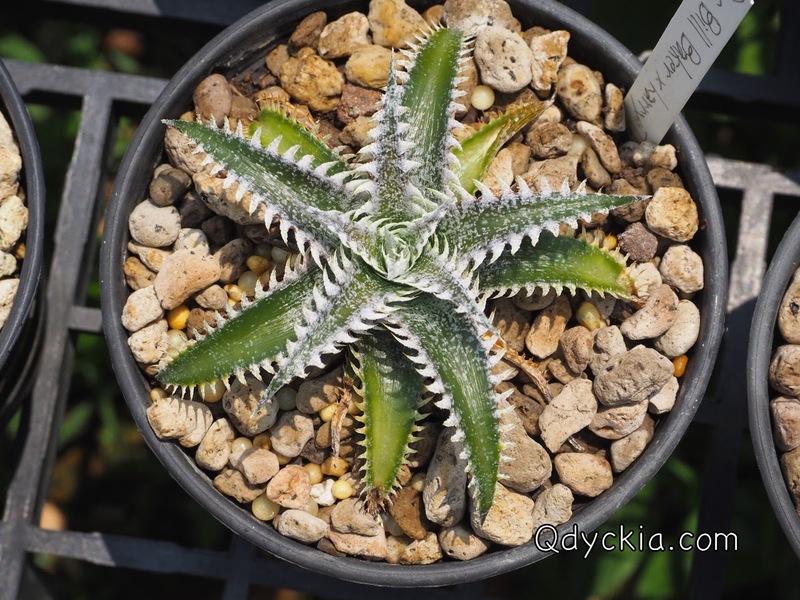 Small and perfect ball shape. 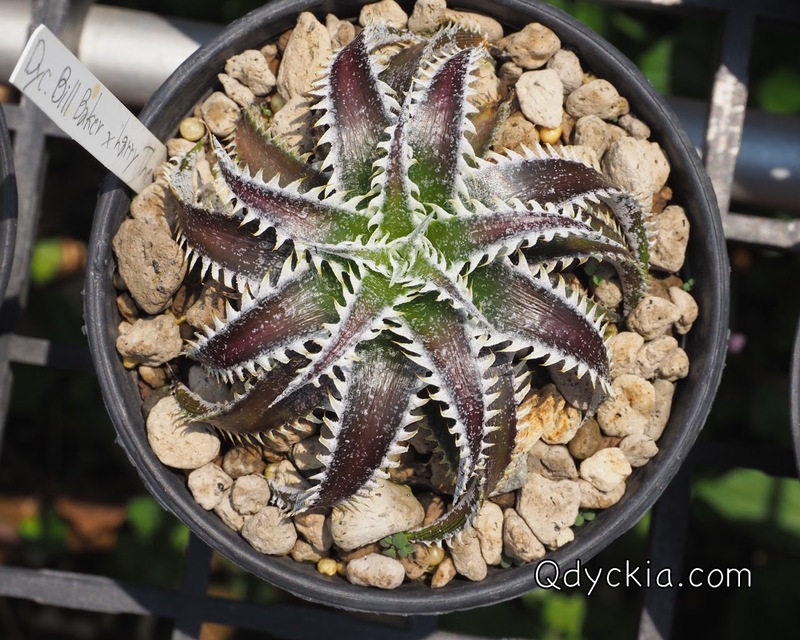 Very small and compact plants. 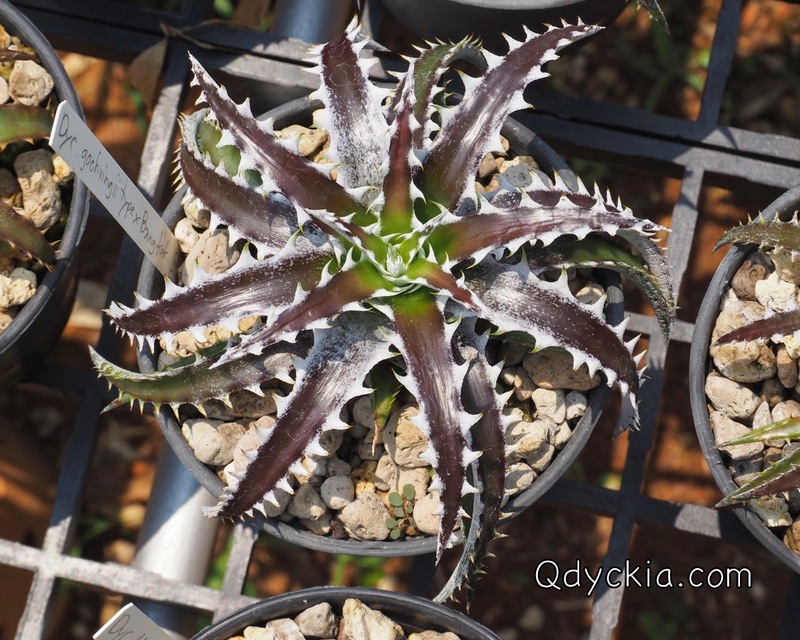 Dyckia Squid X Bill Baker, the most beautiful one. 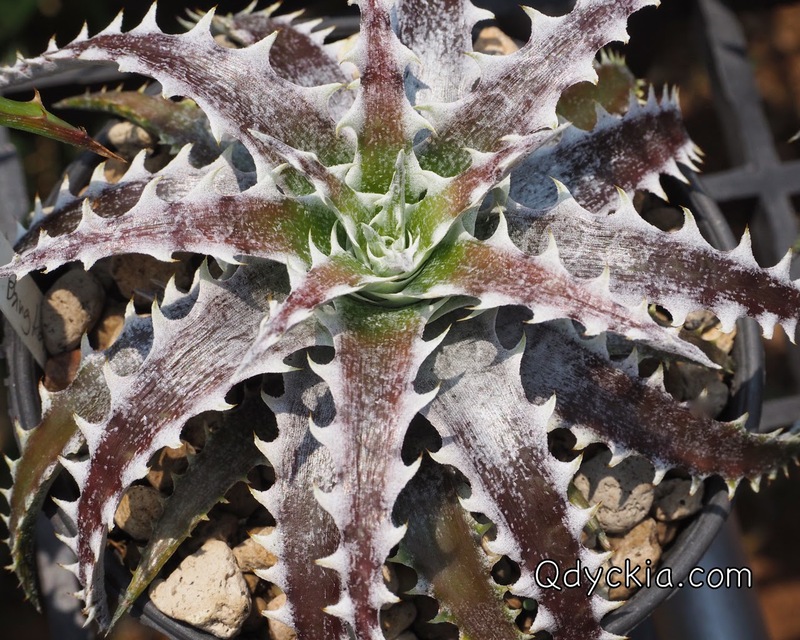 Also nice trichome and good shape. 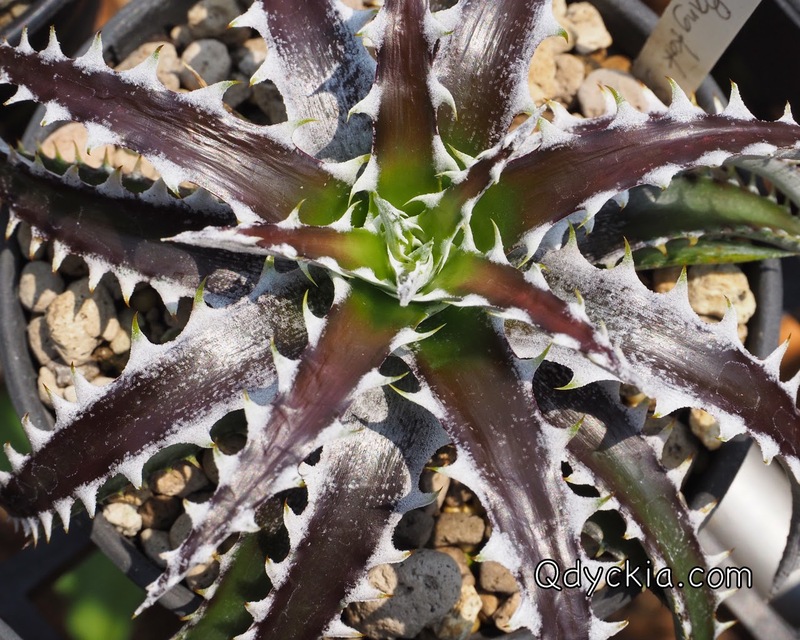 Compact form and very nice trichome. 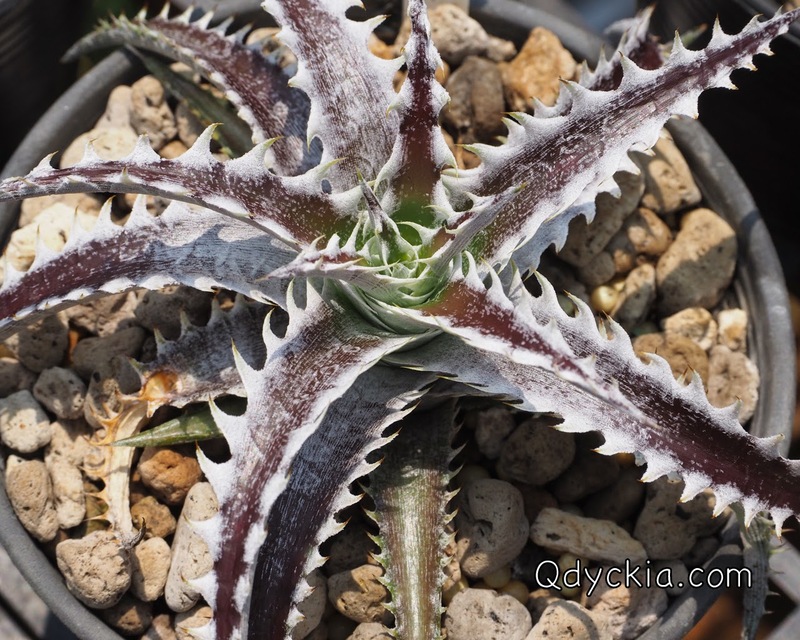 Red leaf with big white teeth. 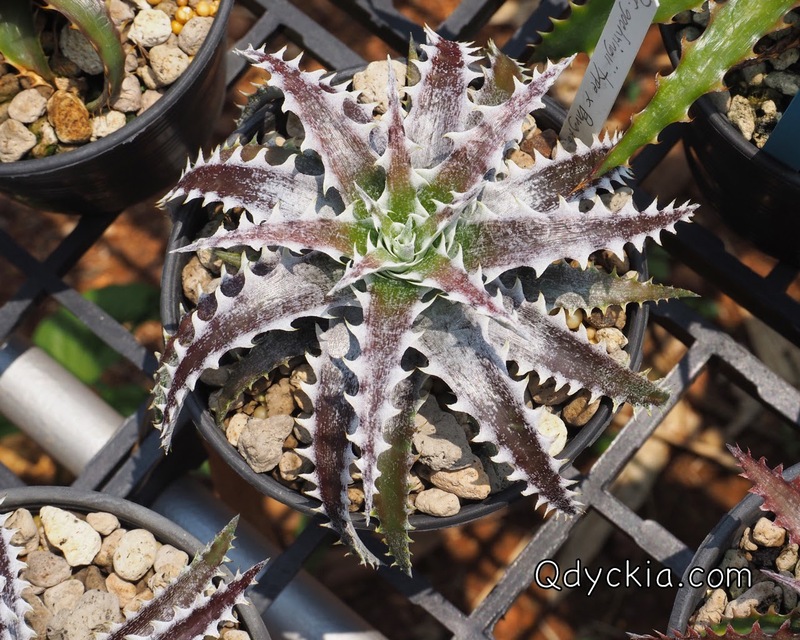 One of the nice hybrid for this year. 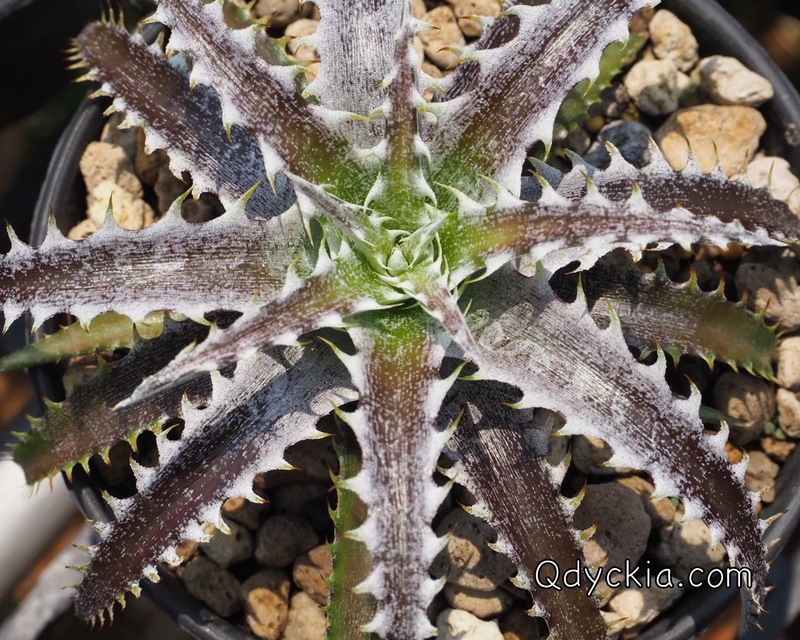 Closely look at white spines.